Last weekend I had a great ride on Saturday, 2,000 feet of climbing (and calorie burning), over 25 miles, including the famous Horseshoe Pass. The weather was cold and wet, with some wind, but a lovely lunch at Fouzi’s in Llangollen made up for the strain. I had been having some difficulty with my freewheel for several months, and there had been a few events where its slipping had caused problems starting off, especially at temperatures near zero. Last Sunday, I set off for another ride, but the freewheel failed completely. No forward motion, so alas no cycling. My friends walked back with me to the car, and we talked about what next. I had been hoping that I could manage through the winter and get a new bike in the summer months, but this plan has had to be trashed. Spares for the Marin have been hard to get, and a freewheel seems impossible to source at this juncture. So I have ordered a new bike from Halfords, and I’m waiting for it to arrive. I’m going for a Boardman Team CX this time. It should see me through the rest of the winter, once the frame size I require is shipped down from the Leeds store. But that is another story. The weather has been awful today, so I guess it has been no hardship to stay at home, but I needed a diversion to make up for not having a regular hit of exercise on the Marin. So what was it to be today? I didn’t fancy a trip out to photograph landscapes or wildlife (the weather again), and my inside macro-brain was similarly uninspired. I caught sight of an old book on the shelf in my study, ‘How to Cheat in Photoshop CS3, The Art of Creating Photorealistic Montages’ by Steve Caplin. That’s it I thought, I’ll just play this morning, with Photoshop, just see what I can create. I didn’t have a plan, or any pre-conceptions, it was a spur of the moment thing. 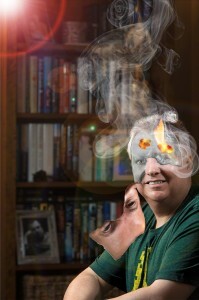 I thought about it for a while, and decided that I would edit a photograph of myself, and see what might be possible. That way, nobody would be offended. 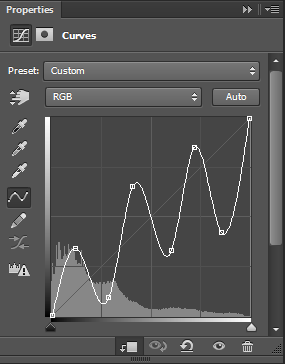 First off, how about some fun with Curves? First convert the image to black and white using your preferred method, then, to get a metal effect, you need a curve with wiggles. 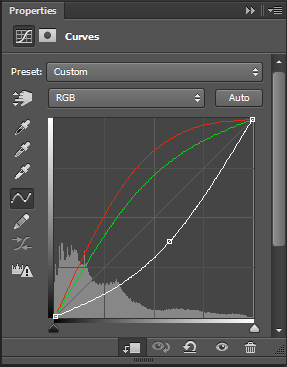 From here it is simple enough to color the image with a second curve that does 3 things. Lift the red and green mid-tones and then darken the overall image. Layer mask your image to taste and away you go. 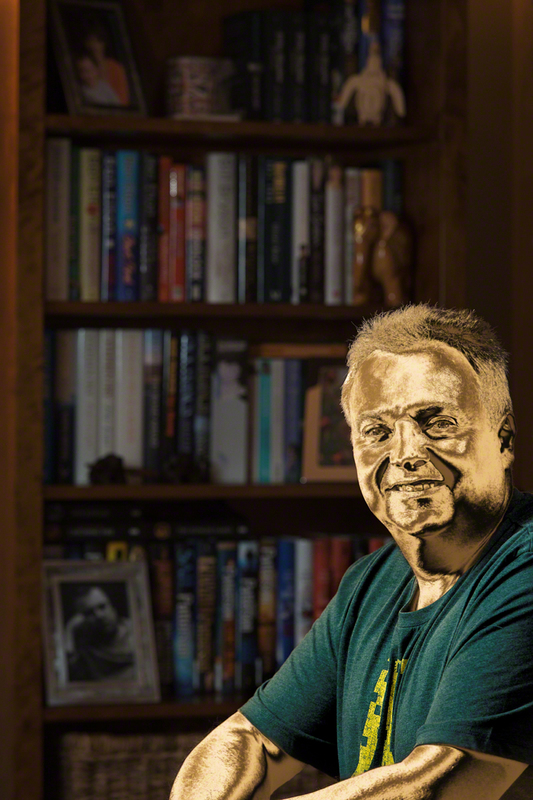 For this image, I made a cut-out of myself, and jumped it up onto its own layer, in order to simplify the masking. There was already quite a lot of contrast in the image, so I was able to do this fairly straightforwardly using the Quick Selection tool, rather than resorting to a channel mask. That was fun. It only took a few minutes, but was not intrinsically satisfying. I would definitely like my own weight in gold, but would want to earn it by doing something that was a real test. So what next? Play some more, it’s the only way!! Having thought of myself as a golden statue, what about being a robot? Perhaps with something removed? What about some missing face? 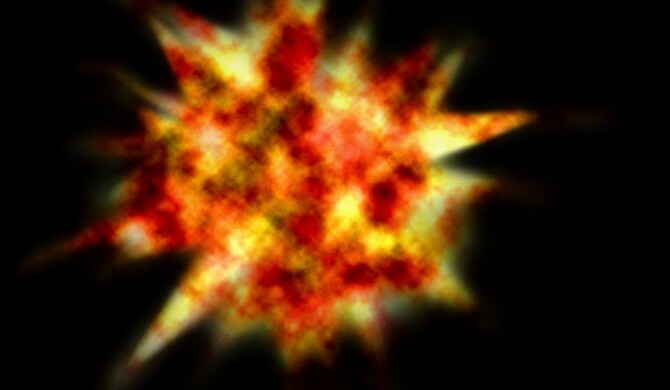 What about an explosion of some sort? Hmm. An idea was taking shape. Smoke and flame, that’s the stuff. Now, I can definitely step you through what I did next, but for this blog it might be sufficient just to show you the finished piece. I’m not claiming that this is perfect, I didn’t spend too long working on it, I way just experimenting after all. I’m certainly not sure that an exploding head merits such an inane smile. But hey, it’s a start.